Deposit of 500€ will be charged to a group which has booked the entire property. It will be returned during check-out in case there did not occur any damage. Noise is forbidden after 23:30 in order to follow the building´s rules where is the hostel located. Create memories of a lifetime in one of the most charming cities in the world - Malaga. Relax on gorgeous sand beaches, explore a cultural hub of art and entertainment, or check out the many famous landmarks around the city. Ring the doorbell at the arrival. Reception from 8am to 11pm. we are located on the Third Floor of the building. We guarantee you that we are in the best location of Malaga. Centro Metro Station is at only 350 meters walking and takes you to the airport in 12 minutes. We are at the beginning of the famous De Larios street, that offers a music and light show. Within walking distance: Malagueta Beach is 10 minutes, Cathedral 2 minutes, the Picasso museum 10 mins and the Alcazaba 5 mins. Just across the avenue- the beautiful harbour area is full of bars, shops, Pompidou and lovely weekend markets. Great hostel! Location is perfect, staff is great. Mind you: there is no sign indicating the hostel, so go by the address. Would definitely stay here again and can recommend it to everyone. Normally I don't stay in hostels that often anymore, but at Replublica Malaga I realised again how nice it can be to stay in a hostel. 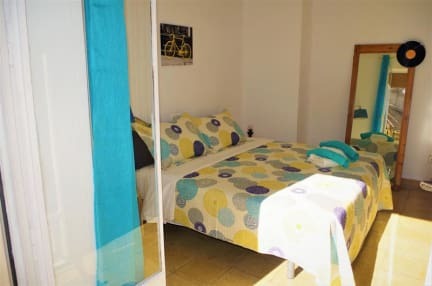 Replublia Malaga is a great place that soon felt like an apartment that you share with friends. That's why I came back to this place two times. Met great people here and the staff was very nice and contributed a lot to the great atmosphere. Highly reccomend this hostel! The owner, Agustin, was really nice and helpfull. The location of the hostel is great: close to the busstation, bars, restaurants and the shopping street. The hostel was clean, had good facilities and a small, but nice breakfast. I would definately stay there again! I only stayed one night in this cozy hostel but I liked it a lot. The public spaces are nice and inviting to spend time in them so that makes it easy to meet other travelers. The location is perfect and the staff has many tips about where to find good local food and the nicest activities around. I would stay here again! I stayed in Republica Malaga for 3 days during my visit to the city. I really liked the common area which felt very homely and other facilities were up to par. I especially loved the friendly staff who made me feel right at home and were good fun for conversation. Made me miss living in a shared household. I will hold good memories, keep up the good atmosphere! I really liked staying in this hostel! The atmosphere was great! Everyone seemed interested in meeting new people. What was surprising, was that most rooms didn't have bunk beds, but just normal beds with good mattresses. There was free breakfast, what was a nice opportunity to get to know the rest of the hostel better. The one downside was that one guy that worked there went out with us and got really drunk and flirty. I think that is not very appropriate. But beside that: great hostel! Its a good hostel with A location! Great place to stay and discover Malaga. The beds (not bunks) were really good! I usually don't write negative reviews, but because the 9.4 rating that was on the site is far from the quality that you get i felt like i had to inform other travelers. 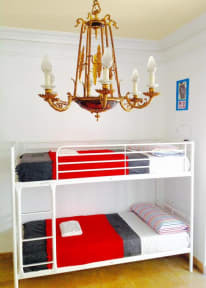 My general comment is that this appartment is not really suited to be a hostel. The door of our bedroom (twin bedroom, first on the right) was made of glass and didn't filter any sound. We had the feeling that we were sleeping in the hallway. The bathroom and kitchen are old and not equiped. Owners are nice and helpful!